Hello everyone, and welcome to the week! It’s time once again for our look back at the noteworthy updates of the last seven days. Some really awesome updates this last week, even though several of them were just fixing great games that had been broken for a while. We’ll take them however we can get them! Of course, you can keep an eye out for updates yourself using AppShopper Social (Free), the watchlist in the TouchArcade App (Free), or by participating in the TouchArcade forums, but this weekly summary is here to fill in the things you might have missed. Let’s dig in! Farm Heroes Saga, Free The obligatory King update to open our Update Mondays, as usual. I hope all you Farm Heroes Saga players have been diligent, because there’s already a new level pack. 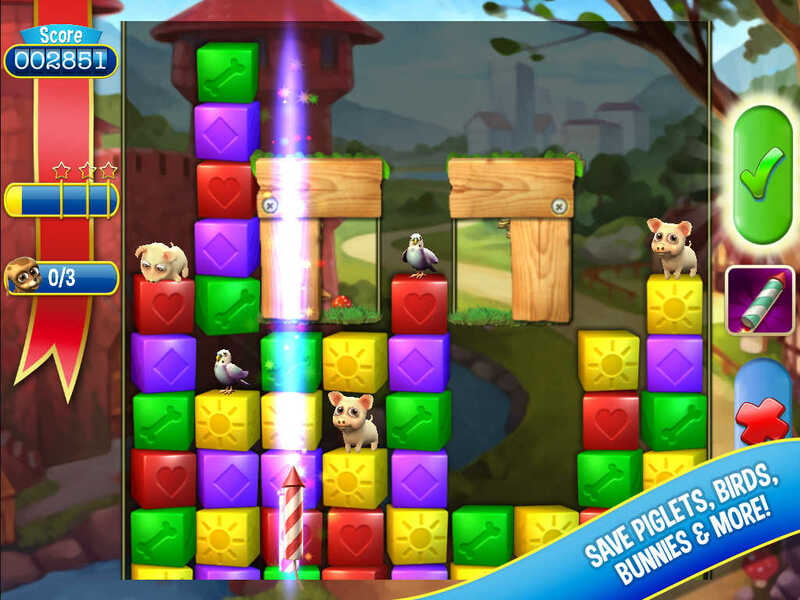 There are 15 new levels set in the Lost Lagoon, and three animals to collect for your farm. The Dodo, the Tasmanian Tiger, and… the Loch Ness Monster clad in a tartan? Okay, who dropped the funny stuff in King’s water cooler? WWE Immortals, Free You guys can’t see me right now, but I am shaking the crap out of the top rope of the TouchArcade Center’s ring. That’s because none other than the Ultimate Warrior has joined the roster of WWE Immortals. It’s like the 90s never left! Oh, wait, they just left. 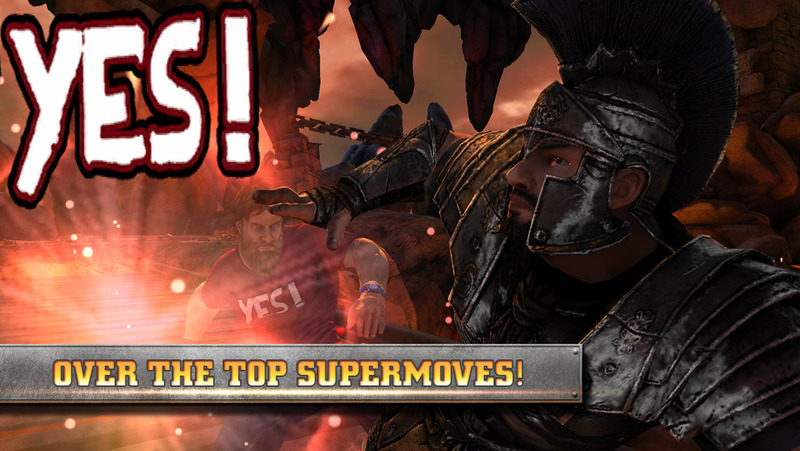 They had to clear the way for Big E, who also joins the fight in this update. Some new special events offer exclusive gear pieces, and is that a Diva Challenge I spy on the horizon? I’m seriously digging the roster updates to this game. I like that they’re honoring the late greats along with filling out some of the newer guys. The Simsâ„¢ FreePlay, Free I was going to make a joke about this update touting the thrills of home renovation, but then I remembered that that’s basically half of the fun in The Sims. The other half being, of couse, torturing the living heck out of a stupid AI. Anyway, on that first point, there are a handful of new DIY quests in this update that allow you to build patios, balconies, and basements for your Sim’s home. You can also score some new furniture including outdoor sets, new planters, and a Make Out Couch. Wait, what? After some consideration, I think I’m going to award this game the coveted Update Mondays Most Spider-Mans Of The Week award just for that. Nobody loves a good make-out quite like ol’ Webhead, after all. Broken Age â„¢, $4.99 Okay, it’s a bit later than many of us expected, but Double Fine’s epic Broken Age is finally complete. The second act of the game dropped as a free update last week, so we can finally see how the story ends. It’s nice to see a Kickstarter come through all the way, even if it did take a little while. It’s equally nice to have a new adventure game from the minds behind some of the best in the genre’s history. Darkness Reborn, Free I mean, when you think about it, darkness is reborn pretty much every night. Not really anything special there. Now, this new boss, Krogos? It’s pretty special. You’ll need a strong team to take it down. You might want to get your hands on some of the new Ancient grade items that have been added in this update. They’re a step above Legendary, which makes me wonder where we go from here. Ultra-Epic? Super-Bananas? 1998 Detroit Red Wings? I guess we’ll see. Seabeard, Free Have you already forgotten Seabeard? Well, Seabeard has not forgotten you. This update brings the Doza Seas, a new chapter with three brand new islands to check out. There’s also a new miner crew member, some new jobs, buildings to display your accessories, Metal support for prettier graphics, and a very very late Easter event. It’s quite a hefty update all-around. Oddworld: Stranger's Wrath, $2.99 Some Unreal Engine-based games did not play nicely with iOS 8.3. Sadly, Oddworld: Stranger’s Wrath was one of them. I use the past tense there because as of this version, those problems have been fixed right up. Just to sweeten things even further, you can now set Stranger’s galloping run to manual instead of having it automatically trigger after you’ve moved a certain distance in one direction. Having more options is never a bad thing! .Decluster, Free This is a great shoot-em-up that came pretty much out of nowhere. The latest update adds Everyplay support, a novice difficulty setting, and a new mode where you just battle bosses all day long. If you move quickly, you can still grab this on sale. It’s on for $0.99 for the next couple of days, down from its usual $2.99. It’s worth it! Pet Rescue Saga, Free Pet Rescue Saga continues to pile lies upon lies. In the notes for this update, they claim Dave the puppy has been practicing the violin for years. I should like to submit to the jury that due to the abbreviated lifespan of canines, a so-called puppy can’t possibly have practiced a talent for years and still be a puppy. That’s not even mentioning the issue of his lacking opposable thumbs! I’ve caught you in your web of deceit this time, Pet Rescue Saga! Oh, right. New episode, 15 new levels, beach-themed. Have at it. Mr Jump, Free Well, this is interesting. I mean, I always wonder if people are going to see the material that these developers work hard to insert into these updates. Mr Jump has 12 new levels to see, including a new jet pack item. It’s a totally free update, you just have to be good enough to get to them all. This is apparently the last bit of content planned for the game for the foreseeable future, so you might want to make it last. Have fun! PAKO - Car Chase Simulator, $1.99 Oh my, Pako‘s new update is amazing. There are three new levels including the beach, Finland, and hockey. Yes, you can now experience the thrill of riding a Zamboni down the ice while police chase after you. There are other new vehicles too, but seriously, there’s a Zamboni in this game now. Some new songs, as well. As usual, it’s a free update, so get on in there and enjoy. Woah Dave!, $4.99 Look, I just can’t get behind this game. Not because it’s not fun, because it is. It’s also nothing to do with this update, which is stellar. There are two new levels, a bunch of new characters including cameos from other indie games, boss battles, new enemies, a classic mode, and a few other secrets to dig out. No, it’s none of that. It’s not even that the price has been raised to $4.99 to match its price on other platforms, because that’s just fair. No, the reason why me and this game can’t get along is because the word is supposed to be spelled W-H-O-A! Argh, Shaun smash puny Dave! Darklings, $0.99 The second seasons of Darklings might be out, but that’s not stopping Mildmania from keeping the original up to spec. The latest version of the game adds Metal support along with optimizations for the iPhone 6 family. Everyone else can enjoy some bug fixes and stability improvements, which is a bit like trying to enjoy the peanuts in a jar of mixed nuts. You might not notice them while you’re crunching through other stuff, but if they weren’t there, you know you’d miss them. Pinball Arcade Plus, $0.99 This month’s table is here, and it’s Jack*Bot, originally produced in 1995 by Williams Electronic Games. This is the third game in the *Bot series, following Pin*Bot and The Machine: Bride Of Pin*Bot. Honestly, I think Season 4 of Pinball Arcade is starting to show signs of scraping the bottom of the barrel, and this is a great example of that. There are lots of great licensed Williams tables yet to do, and a decent selection of stuff from less well-known pinball manufacturers, but when you’re getting around to preserving stuff like Jack*Bot for the historical record, you might want to consider if that time might be better spent elsewhere. For example, fixing bugs. Lots of bugs. Just saying. Forgotten Memories, $4.99 We’re still working on our review of this one, but it’s safe to say there’s plenty here to like. The developer has been extremely responsive, as this update shows. There are too many things to list, but the highlights include Normal and Easy difficulty modes, partially-implemented MFI support, a new tutorial, more options for camera controls, and general performance and stability improvements. The Easy mode addresses the main criticism most had of the game, the limited save system. If that’s why you were avoiding it, you might want to give it a try now. 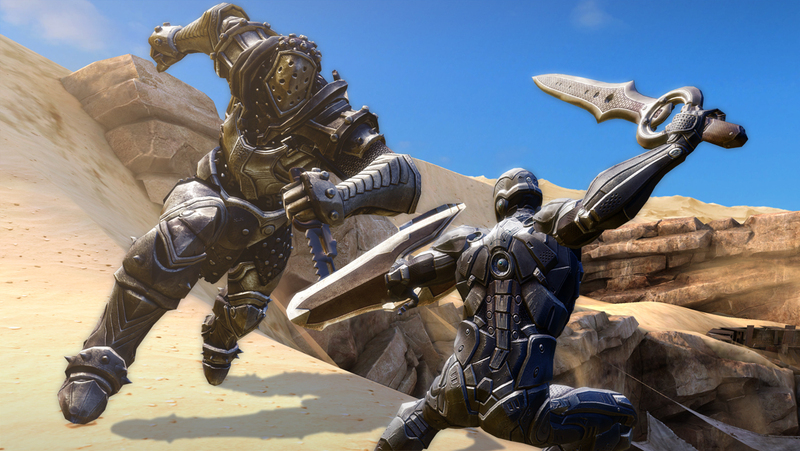 Infinity Blade III, $6.99 For the sake of efficiency, I’m only listing Infinity Blade 3 here, but Infinity Blade 2 ($6.99) saw a similar update on the same day. This update brings support for the iPhone 6 family and newer iPads, along with improved compatibility with iOS 8. They also took the opportunity to do some bug fixes and other tweaks. It’s nice to see this series being taken care of. I consider it one of the essentials of the iOS library. All Star Quarterback, Free Here’s a crowd-pleasing update. All-Star Quarterback is a pretty fun game, the sort of quick pick up and play experience that developer Full Fat excels at. The only problem is the game’s stamina meter, which many people found a bit too strict for their liking. This update alleviates that issue quite a bit. Training uses less stamina, as do practice plays. This update also includes bug fixes and improvements. Crystal Siege, $2.99 Is it tower defense? Is it an RPG? Is it for the iPad? How about the iPhone? The answer to all of those questions is officially ‘yes’ as of this latest update. Not only has Crystal Siege gone universal, it also supports iCloud Drive saving and sports a new fast forward mode. All that along with bug fixes and a smaller app footprint in terms of install size. Excellent! Heroes of Order & Chaos, Free Gameloft’s strongest take on the mobile MOBA genre has a few new tricks in its bag. First up is a new hero, a young mage named Melina who has less-than-perfect control over her magic. That’s always fun! There are also two new skins for existing heroes Evistix and Sia Tidesinger, and plenty of UI improvements and balance tweaks. Clash of Clans, Free Is Clash Of Clans one of the most popular games in the history of the hobby? It’s starting to look that way. The latest update adds a new type of defense, the Air Sweeper. It’ll knock back any flying enemies that try to breach your walls. The UI has also been improved, allowing you to bookmark up to 30 clans to view at your leisure and preview your army before every attack. Also, if you’re unhappy with being called Sir FartsALot, you can now change your name. You can only do this once, so seriously consider if in five years you’ll still really want to be known as WeedBrony666. I know it sounds cool now, but just think about it, is all I’m asking. Zen Pinball, Free While the rest of the Star Wars tables enjoy a nice discount for May the 4th, you can also pick up a new table set a long time ago in a galaxy far, far away. Star Wars Rebels joins the line-up, and it’s a name hopefully all iOS gamers are familiar with. It’s a pretty neat table for a cool show. Like other new tables, it’ll set you back a cool $1.99. Pray they don’t alter the deal any further. Pocket Mine 2, Free I’ve already used up my whole 2015 budget for digging jokes, so I’ll just lay out the contents of this update for you. There are new cards and blocks, including the explosive Rigging Blast card. Some new events, of course, and more powerful magnet gear. You can also more easily compare your progress with your friends thanks to the addition of a handy new View button. 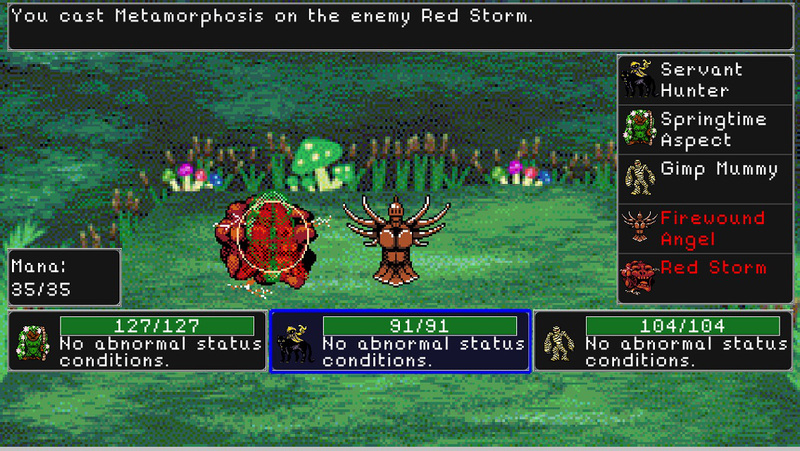 Siralim (RPG / Roguelike), Free Hey, long time no see, Siralim. As usual, the RPG gift that keeps on giving has a whole ton of things in its update. The highlights include several more revamped monster sprites, chests that cough up resources, improved Alteration spells, and a better loot distribution system. A whole bunch of bugs have been smashed, and a bevy of other little tweaks have been made. Sonic The Hedgehog Classic, Free Wow, SEGA really likes to review updates carefully. Christian Whitehead delivered some fixes for the iPhone 6 family somewhere around last Christmas, and SEGA finally got around to putting them up last week. Once again, I’m only giving Sonic The Hedgehog its own listing in this article, but these fixes apply equally to Sonic The Hedgehog 2 (Free) and Sonic CD (Free) as well. Angry Birds Seasons, Free I can’t believe these games are still getting new content after all these years, but here we are in the year 2015 and Angry Birds Seasons just got 26 new levels. The title of the episode is Tropigal Paradise, which is bordering on Batman & Robin levels of terrible punnery. You can look forward to a nice island setting complete with some cozy lava you can use to make a pig roast.